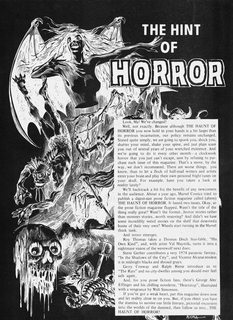 When Marvel’s attempt to publish a digest-sized prose horror anthology flopped, they recycled the title, THE HAUNT OF HORROR, as an addition to their line of black-and-white monster/hooror comics. 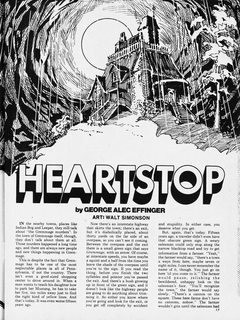 The series featured stories showcasing Marvel Universe characters (Satana the Devil’s Daughter, Gabriel the Devil-Hunter), adaptations of horror short stories, original anthological stand-alone tales, reprints of old Atlas comics stories, prose stories and articles. 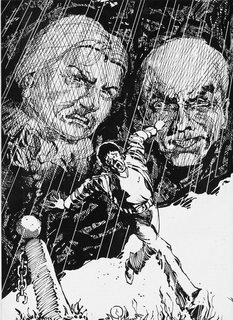 This incarnation was only slightly more successful, lasting five issues.